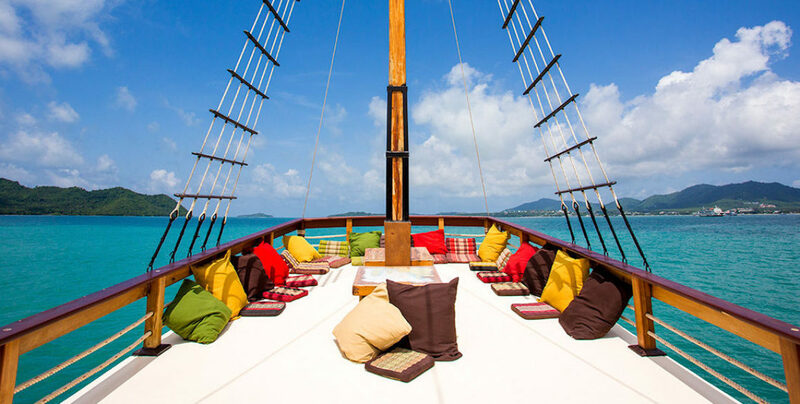 This 70 Foot Luxury Catamaran yacht can accommodate up to 60 guests on a day-cruise and our cruising area around Phuket is arguably one of the most beautiful spots in the world. We cater for groups of all sizes and offer an exceptional service for various celebrations on board – whether it be a stag party, wedding party, birthday celebration or corporate event, we offer an unparalleled level of service. 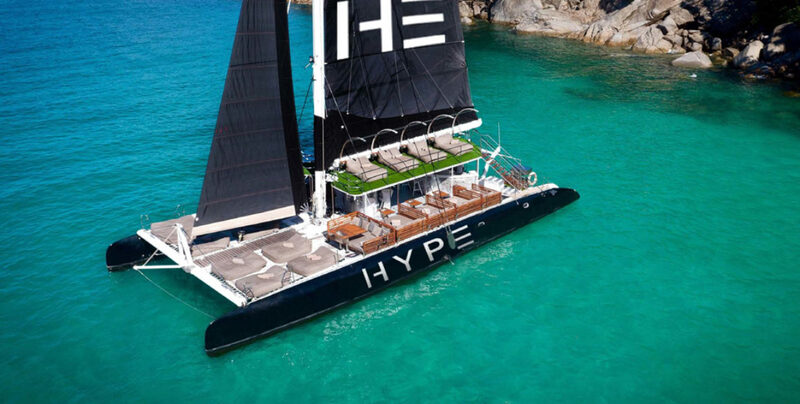 It is a luxurious, 70ft (21.3m) catamaran which can sleep up to sixteen guests in six cabins. You will have your own private cruise ship to share with family or friends, in complete privacy and absolute luxury. The upper deck, which has wonderful views and a cool breeze, features the large Jacuzzi and the African bar. The large fore-deck is perfect for a sunset drink. For large group yacht charter cruises she can accommodate up to 60 guests on a day-cruise and with up to 100 guests when combined with our sister ship. Sailing around the many islands surrounding Phuket, Thailand you can party your hearts out or lie back and relax as we take you and your friends on the adventure to end all adventures. Catering for large or small groups of all sizes. We offer unrivalled service for parties of friends or company employees on board – Weddings, Stag parties, Birthdays, Corporate Team-building events, we can accommodate you all. We are also extremely flexible when it comes to timings (tides allowing) and carry menus for on board and beach dining and special requests. 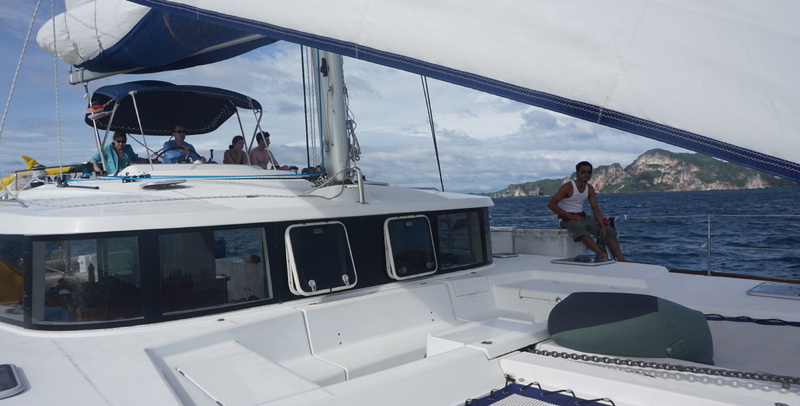 Special 70 Foot Luxury Catamaran, a purpose built yacht, is perfect for entertaining larger groups of guests in comfort. 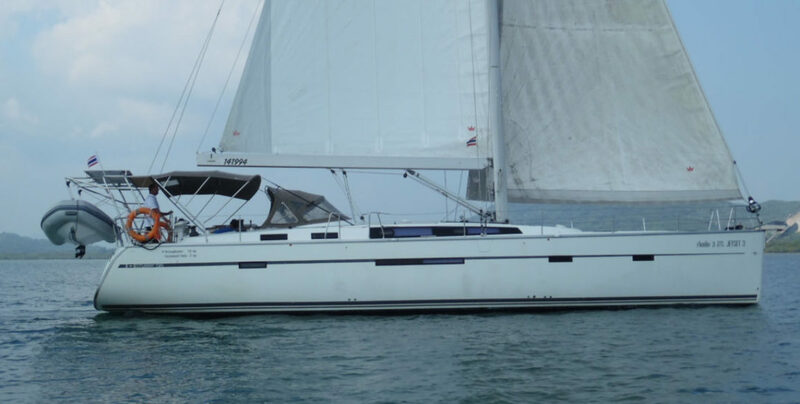 There is an abundance of space on this 3 tiered vessel, which hosts a large dining saloon area, an upper deck outdoor Jacuzzi with bar and a 2 meters width swim platform. National park fees are not covered by us. In the Phuket and Phang Nga area the charge is 300THB per head. Guests should cover this themselves, with cash.